The plants have covered the rocky cliffs at the Wailea Point historical site. In the south end of Wailea, nestled between two resorts, is Wailea Point, a private community filled with manicured lawns, lush tropical gardens, and canopies of mature trees and palms. When construction began in the mid-1980's the coastline of this property was rugged lava rock cliffs full of kiawe and other weeds. As part of the master plan of the Wailea resort community, an ocean side walkway connecting resorts, condominiums, beaches and public parking was to be maintained by each property. Aerial view of Wailea Point Construction in April 1986. Wailea Beach is visible on the left. Hundreds of visitors pass through this ocean walk daily, taking in the view, jogging, or just on a morning stroll. Having previously been the gardener for this area of Wailea Point, I can tell you the most common questions from these passers-by include "What type of lawn is that?" - Seashore paspalum. "What island is that?" - It's still Maui. If you drive around that mountain you get to Lahaina. "Where's the nearest place to get coffee?" - Well…. What many overlook is the tapestry of native plants next to them, filling the voids between the sidewalk and the ocean tides that creates the Bud Wagner Memorial Garden. At the time of construction of Wailea Point, developed by Bud Wagner, a decision was made to not build walls or fences blocking this, the steepest part of the Wailea coastline, but rather to plant hedges of native plants. This section of the walkway "is unique in that it was one of the very first commercial landscapes to utilize native plants in Hawaii," according to Tamara Sherrill, Executive Director of the Maui Nui Botanical Garden. Nearly 70 species of native Hawaiian plants were utilized in the half-mile stretch of garden, some of which were used here for the first time in a commercial garden. As the gardens began to thrive, and the hedges began to intermingle, something amazing happened. 'Ua'u kani, the wedge-tailed shearwater, came to nest. This small community of indigenous birds has made the resort their home. From April through October, in the heat of the day, they quietly hide in the shade of the naupaka (Scaevola sericea), and 'iliahi (Santalum ellipticum), but, at night, their mates return, with a haunting, wailing call - sometimes prompting unsuspecting visitors to call the police to look for a lost baby. 'Ua'u kani burrow into the ground, sometimes undermining plants, in this case ko'oloa 'ula. Kawelu was planted in the area to provide nesting materials for the seabirds. Over time, the variety of plants has fluctuated, with some thriving and others coming and going like the ebb & flow of the tidal waters. In the past few years, the landscape committee of Wailea Point has worked to re-establish the diversity of this seawalk by contracting Anna Palomino, owner of Ho’olawa Farms, in Haiku, Maui, to evaluate the existing plants, re-introduce plant species and introduce new species. Alex Cortez, the maintenance supervisor for Island Plant Company, LLC, which cares for the entirety of the Wailea Point landscape, has helped Anna establish the new plantings as well as maintain the existing gardens. Anna Palomino, research horticulturalist, and owner of Ho’olawa Farms. The tapestry of hedges, including naupaka, pohinahina (Vitex rotundifolia), and u'ulei (Osteomeles anthyllidifolia) remain. Vignettes of mixed species including dwarf naupaka (Scaevola coriacea), 'a'ali'i (Dodonea viscosa), 'ihi (Portulaca molokiniensis), 'uki 'uki (Dianella sandwicense), ko'oloa 'ula (Abutilon menziesii) and mau'u'aki'aki (Fimbristylis cymosa) were planted in open more expanses. Trailing groundcovers such as ilima papa (Sida fallax), akulikuli (Sesuvium portulacastrum) and pau o hi'iaka (Jacquemontia sandwicensis) fill the space between the sidewalk and the hedges. Mindful of the 'ua'u kani, Anna has also introduced kawelu (Eragrostis variagilis),a native grass used for nesting material. As part of this re-establishment, new labels were placed to identify plants throughout the gardens including both Hawaiian and botanical names. Awikiwiki using naupaka as a trellis. Dwarf Naupaka - Dwarf Naupaka blooms in the garden. Hibiscus clayii grow along the oceanside gardens. This project has not been without challenges. Temporary drip irrigation was installed to help the plants become established. Rats were found to be repeatedly eating the alula (Brighamia insignis). Ants inevitably try to farm the different varieties of scale and mealy bugs that have appeared. South swells cause physical damage to the plants, burning off leaves with waves and heavy salt air. Despite signs being installed warning of dangerous cliffs or new plantings, people unwittingly cause the most damage to the new plants by stepping of the sidewalk to allow others to pass, or to get a better view of the seashore. Alex makes sure the newly planted areas of the gardens are guarded with bamboo stakes to help slow the damage from the foot traffic. Keeping foot traffic off of new plants is always a challenge. Bamboo stakes are installed as a subtle barrier. The seawalk's assigned gardener, Jhay-Are Acido, is tasked with manicuring this space, including maintaining the undulating hedges just tall enough for safety but not too tall to block views. Weeds may not just be invasive asparagus fern or ficus but also native noni (Morinda citrifolia) or milo (Thespesia populnea), whose seedlings pop up in an inappropriate spot. After all, a weed is just a plant out of place. This garden of rare & endangered plants has been sustainably manicured for over 30 years. Tamara reminds us that the Bud Wagner Memorial Garden at Wailea Point "is now a prominent example of how resort areas can incorporate native plants to create a unique sense of place." Allison Wright has worked for Island Plant Company, LLC on Maui since 2003 where she is currently a maintenance superintendent. She is also a co-owner of Valhalla Flower Farm and is the current president of the Maui Association of Landscape Professionals. Island Plant Company, LLC, is a landscape maintenance and installation company, owned by Thom and Beverly Foster and was established on Maui over 30 years ago. It’s an exciting time on Maui. 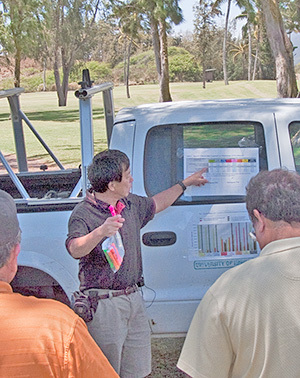 For the second time in almost a decade, the Maui Association of Landscape Professionals sponsored certification testing in Ornamental Maintenance. In the short span of the year, this program has proven successful. I continually receive comments on the program and am asked when the next sessions are to start. 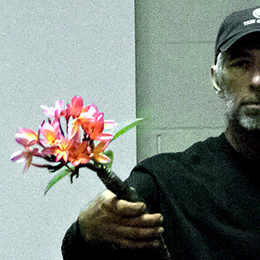 This program in ornamental maintenance serves a reminder of the basic safety training all employees need in the field. It is also becoming a more common requirement in contract negotiations and job descriptions as Maui employers, community associations and contractors become aware of the existence of Landscape Industry Certified Technicians. I know of at least 2 of last year’s candidates who were employed by local organizations prior to receiving their certifications and are now in positions of authority at local resorts and hotels. In 2014, we were able to certify 16 candidates. The class of 2015 began with 18 students, all of whom attended our 6-week course, which culminated in the field test on Saturday, September 12. By the end of the day, 8 candidates were certified in Ornamental Maintenance, with several others just a few points away. By the end of our re-testing day, we were able to certify several more. This program would not be possible without the tireless work of several people. Along with myself, the committee for Maui’s LICT Training program included Kevin Gavagan, Four Seasons Resort, Maui, Elaine Malina, SGS Hawaii Landscape Management and Peter Hehemann, He-Man Services. In addition to the committee, the majority of our field test judges were our 2014 LICT recipients. Our classroom program has provided insights into the core elements of the tests. This year, we would like to thank the following instructors: Bill Mitchell, Hawaii Land Design; Max Bolor, LICT, Four Seasons Maui; Kevin Gavagan, Four Seasons Maui, Elaine Malina, SGS Hawaii Landscape Management; Chris Baker, LICT, Island Plant Company and Terry Nutt, A Nutt Nursery. As always, sponsors provide unequaled support for this program. A generous sponsorship from the Maui County Office of Economic Development in 2014 allowed us to purchase the majority of our field test supplies, most of which was used again in this year’s testing, and will be used in the many years to come. He-Man Services supplied new power equipment for all field test stations. Ann Emmsley, Program Coordinator at the University of Hawaii, Maui College, Department of Agriculture and Natural Resources, provided a fantastic space for our field test. Other generous sponsors included: Four Seasons, Maui, Hawaii Grower Products, HISCO, Honua Kai Resort & Spa, Island Plant Company, LLC, and SGS Hawaii Landscape Management. In the coming years, we hope to expand our program to include additional certifications. We are also working to expand our relationship with the Office of Economic Development to bring more credentials to Maui’s workforce. Allison Wright is a Maintenance Superintendent for Island Plant Company, LLC, serves as President for Maui Association of Landscape Professionals, and is a co-owner of Valhalla Flower Farm, LLC. In the daylight, colors, shapes and forms make a landscapes appearance enticing. Red foliage is easy to distinguish from that of yellow, and blue flowers stand out from green foliage. Shapes, textures, and various dimensions are easily recognizable. As day turns into night, the surrounding colors and shapes become shadows. This is when our eyesight may falter, but our nose and sense of smell prevails. Many flowers hide their fragrance in the heat of the day becoming most pungent from dusk to dawn, when nature reveals the sensation of its fragrance. Honokahau is a small, secluded valley located on the northwest side of Maui. My family is blessed to own a piece of property in this unique area. Amidst this tropical part of the island, night comes fast and the darkness complete. As I make my way down the staircase the pungent aroma of Night blooming Jasmine (Cestrum nocturnum) fills the air with a thick, sweet and sometimes over powering scent, enticing me to take long deep breaths. 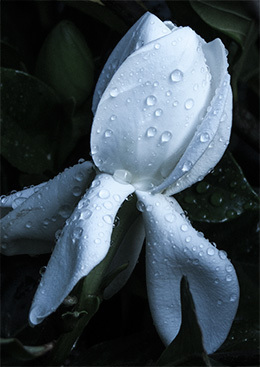 As I wander farther down the path my attention is caught by another undeniable scent of flowering Gardenias, both Veitchii and the larger Amy variety. I stand Motionless, the aroma surrounding me like the darkness. Then a slight breeze carries the scent of one of the few Ixoras that smell, the Siamese White Ixora (Ixora finlaysoniana). As I walked under its branches the white flower clusters touching my face and the aroma filling my senses. Suddenly the moon peeks over the valley wall to reveal a glimmering white mass of what seems to be flowers guiding me further down the path. The sweet familiar scent a Singapore Plumeria (Plumeria obtuse) towers overhead, its scent dominates the area and the senses. I am almost to my truck when the fragrance of heaven beckons me to follow. Soon I am in the midst of an Angle Trumpet Tree with its large white to peach colored bell shaped flowers, with a delicate scent to die for. I stand there for sometime, breathing deeply and dazed by the smell. As reality sets in, I remember that home is where the heart is and my scents will always be in Honokahau Valley. Flowers listed above range from white to cream color. Fragrant Orchids can be a combination of colors and scent. For example, the HonoHono Orchid (Dendrobuim anosmum) with colors from white to purple. The scented Oncidium ‘Sharry baby’ has a small striking dark brown flower with yellow and white spotting. Scented Cattleya Orchids usually come in an appealing array of colors. For optimum results in gardening, research your plants compatibility with the desired planting area. Consider the amount of sunlight and wind conditions. Certain plants are more tolerable to wind, sun and drought. Make sure you learn what your plant requires nutritionally to keep it happy. Most importantly, notice how your plant looks. Plants will show you their health in appearance of growth, vibrancy, or distress such as burning, yellowing or wilt. If you are unsure, keep your plants in pots before permanently planting. This will make it easy to move them around the yard until you find the right place for the right plant. Before falling asleep tonight go out and smell the garden. Please, try to surround yourself with colorful plants, while remembering to immerse your landscape with a lot of good scents. Podocarpus gracilior, the fern pine, is native to East Africa and grows in most climates in Hawaii with the exception of extreme elevations where the temperatures may drop below freezing. It thrives in full sun to part shade. 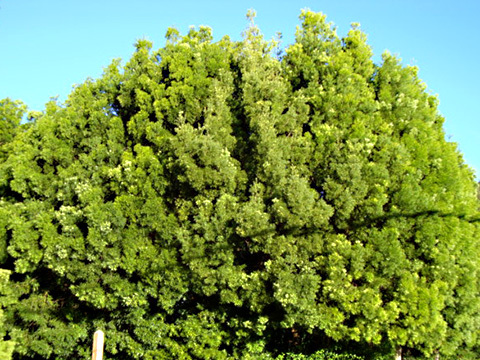 If left alone, the tree will grow to 50 feet or more tall with a 25 to 30 foot spread. Be sure new plantings are well watered, but, once established, podocarpus is very drought tolerant. Do not allow it to sit in consistently wet soil as it will quickly show signs of over watering with wilting branches and leaf drop. Established trees are tolerant of lightly brackish water but will burn if in direct contact with salt spray from ocean-side planting. Young trees need fresh water. There are no significant pests or diseases. P. gracilior is an awkward looking youngster but several years after planting, the handsome oval crown of the tree forms. Branches gracefully arch towards the ground, giving it the “weeping” look for which it is named. The billowy, evergreen foliage first appears gray-green, then lime green and finally turns a lustrous, deep green. When foliage does drop, it is hardly noticeable in the landscape. The bark has no particularly striking features. I have also found the foliage to be an excellent filler foliage in floral arrangements, lasting 2 weeks without losing its color or texture. Podocarpus gracilior is, without a doubt, one of the most diverse trees I have seen and used in landscapes. The first time I saw fern pine, it was planted in a grove at the entry to a neighbor’s property. The cluster of trees created a wonderful, relaxing screen from neighbors and roads. The wind trickles through groves of these trees creating in a soothing, meditative place. Weeping podocarpus thrives in well-tended landscapes but can also withstand tough urban environments, making it an excellent choice for street tree planting in areas where space is available for its height. One of the best features is the ability to withstand heavy trimming. Left alone, the branches will reach the ground but trim the lower branches off for street trees. If you begin while the tree is still young, it can be trimmed into a thick, low maintenance hedge. Though it will never take on the tight silhouettes of boxwood, have fun in your landscape and trim it into a variety of loose shapes and forms reminiscent of topiary. Propagation is typically from green or brown wood cuttings, though layering is also possible. 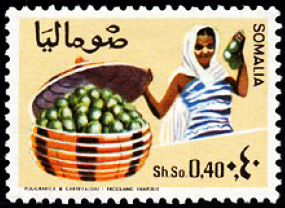 Seeds may also be used. Flowers are insignificant. 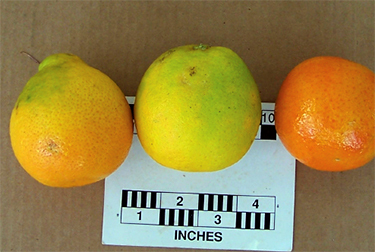 Mature trees produce fruit the size of grapes, which begin gray-green and transform to orange, providing a nice ornamental flair. I have yet to find any documentation of problems with potential invasiveness of this tree — a point of great concern in all climates across the country. Podocarpus gracilior gives the most effect and diverse usage for the least effort in any landscape. A few words of introduction cannot begin to describe the wealth of information found in this book. It begins with the amazing seafaring migrations of pacific islanders who brought banana varieties (mai’a in Hawaiian) with them. Over time the mai’a evolved into distinct Hawaiian varieties. There is an extensive discussion of the origins, habitat, propagation and uses of all distinct varieties complete with pictures plants legends and folklore. These Hawaiian Mai’a especially when cooked are known to be the tastiest bananas on earth. It is no wonder that Angela and Francis proclaim that their staple carbohydrate is the traditional Hawaiian bananas. They even provide the recipes they use for cooking and serving bananas. But that was then, how about now. There is a complete discussion of the bananas introduced into Hawaii post-contact. Again the origins, habitat, propagation, and uses are thoroughly discussed. There is also a section on planting, harvesting, fertilization, pests and pest control. This book is truly a work of passion. One to be treasured! On September 27th of 2012, we had the pleasure of having Dr. Angela Kempler speak about her book, “World of Banana’s in Hawaii, Then & Now”. She gave a great presentation of the history of banana’s, especially throughout the pacific and presented an abundance of amazing photos. Banana’s originate in Southeast Asia. 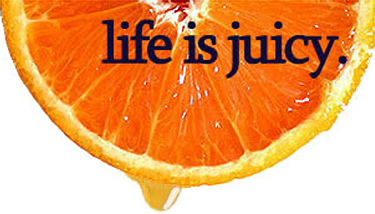 They are rich in vitamin C and Potassium. Hawaii has had over 100 varieties of banana’s, including edible, inedible and ornamental varieties. “Hina’ea” – Hawaiian goddess of the banana. Circa 1350 pacific travelers introduced “canoe plants” that included the pacific plantains and pacific bananas that we are familiar with today. Canoe banana’s are polynesian heirlooms, they have been very important to Hawaiian culture. One variety in particular is the “Mai’a Maoli” which is common to the west Maui mountains. Pacific plantains include 3 main varieties; Maia Maoli, Maia Pop’ulu & Maia Iholena. Mai’a Maoli – Large sausage like fruit, plants can be found in the EMI areas of Maui. Mai’a Pop’ulu – Short fat fruit, good cooking banana. Mai’a Ihalena – Extremely rare, very beau- tiful, Large fruit & Dark leaf, Lots of Keiki, short stature, wind resistant. 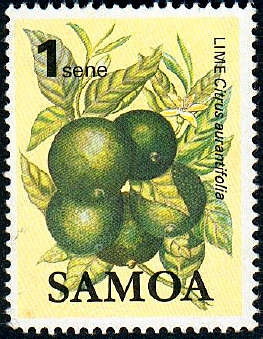 Circa 1820 polynesians introduced the Pacific Fei & Maia Hapi varieties. Mai’a Hapi – “pregnant banana”, very sweet & a good dessert banana, bunch emerges from within the stock. Of the 100 Hawaiian varieties that have been recorded many of them are dwindling away. Since 1990, 17-20 species are extinct or most likely extinct. 14 + species are critically endangered, up to 100 plants state wide. Most of the Hawaiian bananas are endangered, 500-2500 plants. 40 species are currently present of the original 100+ varieties of Hawaiian banana’s, 19 species are still present and living in our natural habitat. We are losing our precious Hawaiian banana strains to: neglect, invasive plants, development, disease, bugs and lack of education! At the rate things are going, we will not have any Hawaiian banana’s left in the wilderness in the next 10-20 years! Together we can all work together to prevent the loss of this important staple and part of polynesian culture. healthy soil and healthy keiki (new sprouts). Cut down old stocks and use leaves for mulch, dispose of the stock. Inspect plants for insects, fungus and viruses. Remove any infected leaves and dispose of properly. Organic fertilizer are best for banana’s. It is typical for banana’s to have calcium and boron deficiencies. Solutions: Add dolomite & 1-2 tsp of borax per plant. Corm Weevils – A bug/pest problem. They bury into corms underground and jeopardize the structure of the clump. Symptoms will always include black hole signs inside the stock. Black Sigatoka – A fungal problem. This disease destroys the banana leaves and crop yields can be significantly reduced. Hard to control can use fungicides, disease resistant varieties are being bred. Some varieties are more resistant than others. Banana Bunchy Top Virus – A virus problem that is not curable!! Signs of virus will include:, “J” – Hooks near the mid-rib of the leaf. Normal veins should be white Infected veins will be green & “dotted”. Prominent in Pukalani & Kihei !!! Spread by infected Aphids & Humans. Do not transport infected material, Report to MISC and follow proper handling procedures. This article “summarizes” a 6-month granular pre-emergent herbicide test that was conducted with Pendulum, Freehand, Ronstar, Barricade, Snapshot, Preen 9-17-9 with trifluralin, Amaze with benefin + oryzalin, and corn gluten to control garden spurge (Chamaesyce hirta), prostrate spurge (Chamaesyce prostrate), graceful spurge (Chamaesyce hypericifolia), emilia (Emilia sonchifolia), coat buttons (Tridax procumbens), goosegrass (Eleusine indica), and lovegrass (Eragrostis tenella); which are weeds commonly found in Hawaiian landscapes. The test was conducted at the Cooperative Extension Service in Kahului, consisting of 4 replicated, 6′ x 6′ plots arranged in randomized complete blocks. Weed seeds and herbicides were applied to each plot and were irrigated daily for 25 minutes. Weed counts were taken every 2 weeks for 6 months. The table below summarizes the number of months that these herbicides provided >90% control. Left tree: Trunk has good taper, a few more lower branches would be better, canopy is green and healthy. Top of soil has many exposed roots that are still flexible. It would be a good buy. Right tree: Trunk is slightly tapered, too many lower branches have been removed, and branches have signs of leaf drop. Drought stress? Root impact? The tree will recover but will have a poor start. Last month Susi Mastroianni wrote “How to Plant a Tree“. This article will complement hers by discussing considerations you need to make when selecting a tree you want to plant. It is important to buy the right tree because trees are a big investment. There is the initial cost of buying the tree, the cost to haul and plant it, and the long term costs to care for it. You cannot plant a tree and walk away, especially when planting in an urban environment where survival challenges are more intense than if the tree were growing in its natural habitat. The tree needs to be watered, fertilized, pruned occasionally, and have its rubbish raked and picked up. But the benefits more than make up for the costs. When grown long term, trees provide: great cooling shade, colorful flowers, fruit, architectural enhancement of a structure, increase of property value by as much as 10-12%, habitat for wildlife, a sound and visual barrier when properly placed, a decrease in rain water runoff, the oxygen we breathe, a decrease of carbon dioxide, a reduction of global warming. The Site – Unfortunately trees are not adaptable to all the site variations found in our typical landscape. The Maui County Planting Plan shows five environments that plants are exposed to: Wet areas – windward part of the island; cool, dry areas in higher elevations above 1,000 feet; low, drier areas that are warm to hot; lower elevations that are wetter due to proximity to mountains; and salt spray zone in coastal areas on the windward sides of the islands. In addition to these environmental conditions one should be aware of site conditions such as soil pH, salinity, and depth, and whether there are underground water and utility lines. An adequate above and below ground space is needed for a full tree canopy to be supported by a large root mass. The Species – References such as Plants for Tropical Landscapes, A Gardener’s Guide by Rauch and Weissich, A Tropical Garden Flora by Staples and Herbst, Guide to Landscape Palms by Meerow, and of course the Maui County Planting Plan by the Maui County Arborist Committee are some of the many references available for your use. In addition, your personal experience with the species, or just seeing how it does in the neighborhood you want to plant it, will give you some idea whether that tree is suited for the chosen site. The Maui County Planting Plan (MCPP) contains 21+ characteristics (canopy spread, wind and salt tolerance, planting zone, etc.) for many of the commonly planted trees, ground covers, and turfgrasses. It does not include fruit tree information because they are not planted on streets and in parks. You can get a copy by contacting the County Parks & Recreation Department and paying a minimal price. This document is being revised and will include new plants but no invasive species. It will include new chapters on parking lot trees and invasive species. Completion date is hopefully two years away. County Administration support and Council action are needed on some important issues before the document is released. The Nursery – Once you have the right species for the site you need to find where it can be bought. Because of the busy construction period Maui is experiencing many nurseries have placed on hold trees destined for landscape projects in progress. Available trees frequently are off grade and will need a lot of training. Healthy fruit trees are available at local nurseries because they are continuously provided by nurseries such as Plant It Hawaii and Frankie’s. These three jacaranda trees are all trunk – about 13 feet tall – and have no lower branches. Their trunk taper is slight; trunks are crooked. These trees will be difficult to grow and train into having a well branched canopy. They are too leggy. Roots: Do not buy a tree with woody roots circling a pot’s soil surface. Tender soft roots circling can be opened-up at the time of planting. A tree with woody roots sticking out of the drainage holes is a sign of being “pot bound”. Do not buy it. I am known to shake out a tree from its pot and have a look at its roots if I suspect problems. Years ago 3 & 4 foot citrus trees came in one gallon pots. Woody circling and kinked roots were common. The public became educated and rebelled. Today they are grown in large grow bags or pots. You want a tree in balance with its pot size. You want a tree to have enough roots to hold onto the soil at planting. I have seen a pot carefully cut to facilitate removing the tree and the entire medium fall away when the tree was lifted. The roots hung like you were grasping the handle of a water mop. Panic! Buy a tree whose size is proportionate with the pot to avoid “pot bound” problems. Roots should be white and not brown or black. Trunk: A single upright trunk is ideal. If only trees with multiple trunks are available, tip the weaker one(s) to subdue them and let it produce photosynthates until the tree is growing well. Then remove the subdued leader(s) leaving just one main leader. If many of the young tree’s branches are growing upright at angles less than 45 degrees this will make for bark to be included (squeezed) between the branch and trunk. If branches with included bark are retained, they are poorly attached and may become problematic as they mature and become heavy. Buy a tree with a single trunk with branches distributed around the trunk and emerge from the trunk at angles between 45 and 90 degrees. The trunk should be tapered, larger diameter at the bottom and smaller at the top. Leaves: They should be evenly distributed on the upper two thirds of the tree and its branches. They should be green, healthy, and free of insects; check both sides of the leaves for pests. 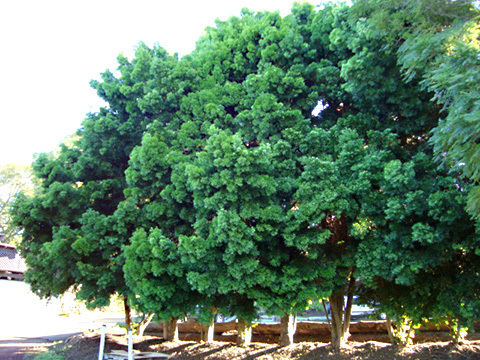 Buy a tree that is vigorous, has many healthy green leaves, and has no insect pests. In summation a healthy small tree growing in a container of a proportionate size will adapt to a site better and faster than a larger tree with root, leaf, and trunk problems. Like children, trees (and other plants) benefit from having the very best start we can give them. There are many points to consider when planting a tree if you wish to enjoy it for many years to come. Whether a fruit tree, shade tree, small ornamental or wind break, trees have many things in common. They need to be selected for the site in which they are to live, they need to be planted correctly and nurtured to grow to their fullest potential. All of us have enjoyed the shade of a tree or benefited from the fruits of their labor — here’s what they need when you plant them. The tree — plant selection is of great importance. If you don’t know what tree to plant, do your homework. Read books, contact the Ag extension or call a certified arborist for a recommendation. No matter how well you follow the directions below, if the tree is not suited to the site it will not thrive!! 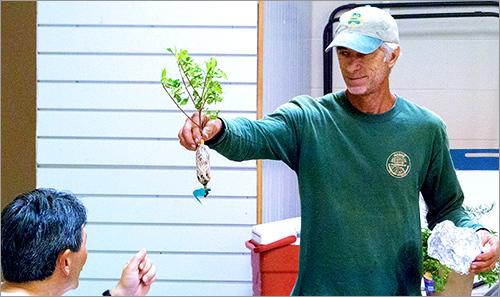 Plant selection — once you have identified which type of tree you will plant, selection of a healthy specimen is paramount. I will be covering that in the next edition of our newsletter. The hole — Remember, what you see above the ground is only half the picture. The root system is the nutrient foraging department and if this is compromised you will not have a healthy tree. When digging the hole never be shy to dig it as wide as you can, 2 or 3 times the diameter of the pot size is always a good idea. Ensure that the sides of the hole are rough and broken not glazed and smooth, especially in clay soils. NEVER dig a hole that would result in the tree being planted lower than its current planted level. One of the #1 errors I see is trees planted to deep. Trees have a trunk flare at their base. (This can be less evident in younger trees.) This is the site where differentiation of function takes place. Above the flare should be above ground and below the flare should be under the ground. It is at this level that trees push out buttress roots to stabilize themselves as they grow taller and are subjected to greater wind stress. If you have, in error, dug a hole to deep, replace some soil back in the hole and TAPM it down. You do not want the tree to settle over time and result in the sinking of the root ball. This will result in the flare being below ground and will impede the creation of strong buttress roots. It is also a site of disease and pest weakness. It is better to plant a tree slightly shallow , +/_1-2 inches, above the natural grade then plant too deeply. Amendments — Many people ask me what they should put in the hole when planting a tree. To be honest the size, depth and mechanics involved in placing your new tree in the ground is of far greater importance than selecting the latest trend in fertilizer tablets. The International Society of Arboriculture does not recommend amending the hole into which the tree is placed. The logic behind this is that no matter what you do to the 3 feet of soil around your new tree, it will, in time, need to spread its roots far from there and survive i n the native environment (once again Right tree Right place). You also run the risk of creating such a nice comfy home for the tree that the roots will not venture out in the big bad world of un-amended soil and you will have stunted root growth and possible girdling of the root system. (Girdling roots are roots that have turned in on themselves and are growing in a circular pattern as opposed to spreading out into the surrounding soil.) I tend to add a cup or three of worm castings and hand full of a combination of organic and slow release fertilizer to the back fill. My logic being that the tree is often spoilt with fertilizers in the nursery and I don’t want it to go cold turkey all at once- use only a small quantity and avoid salt based fertilizers as you run the risk of burning the delicate young root system. Tablets, if used, should be 1 to 2 inches away from the root ball. Placing the tree in the planting hole – There are many ways you can buy trees, containerized, ball and burlap, bare root and field stock. For the sake of this article I am using containerized stock. When removing the tree from the pot be careful not to disturb the roots more than you have too. Try not to lift the tree up by pulling on its trunk. (You should never carry a tree like that either — hold the pot) Place the pot on its side on the ground and gently roll it while pushing on the pot to loosen the sides. Gently slide the tree out. At this point you can loosen the roots slightly by running your fingers over the sides of the root ball. It is best to have measured the depth of the hole you need prior to placing the tree in the hole. Sometimes the soil falls away from the root ball in plants that have not fully grown into their existing pot, you should re-measure and adjust the depth as needed. Place the tree in the hole so that the trunk flare is level or slightly above grade, or if you cannot identify the trunk flare, plant no deeper than the original depth of the pot. At this stage turn the tree carefully so that you select it’s best viewing position. (If the tree is seen from one direction only put its best “face” forward.) Have your helper hold the tree in place and walk back to better view the tree from afar. Once you are satisfied that the tree is in the best position and depth, start filling the hole. Do not place all the soil in the hole at once but firm the soil in the hole as you go. I normally do that as my helper slowly adds more soil around the tree. By firming the soil you secure the tree in place and prevent large air pockets in the planting hole. I like to plant the tree slightly higher and build the soil up to allow for the water to run away from the trunk. Once all the soil is firmly in the hole lightly tamp with your feet, careful not to press to hard and break the root system. I ALWAYS mulch any new plantings. Mulch helps with water loss, weed control and temperature stabilization of the young root system. Watering in of new plantings is essential to settle the soil in the hole and further secure the tree. After care — when a tree is labeled drought resistant/tolerant this refers to the eventual status of the tree to withstand periods of water restrictions. Even the hardiest tree will need additional water until established. I try to ensure that a drip system is set up prior to planting. The best intentions to water by hand often end up with dead trees standing! A note on trees in grass — If you must plant a tree in the lawn try to ensure that at LEAST a three foot or more diameter is cleared of grass. Young tress need time to establish their roots in their new environment and do not need the added competition of grass eating up the available nutrients. (Not to mention death by Weed eater). Once a tree is established, the shade from the canopy naturally prevents the grass growing close to the trunk. Give your new tree the space it needs. Also pay attention to the lawn watering heads. No tree likes its trunk sprayed on, especially up close. Select a site that will be out of the line of fire of sprinkler heads and, if possible, can have their own drip system for deep watering.